Interruption: A scripted conversation with Kelly Large about cave fish, cows, crowds, transmission and adaptability. I was invited by Phaneromenis 70 to contribute to the Delivering Views Project. An account of a short stay in Nicosia, Cyprus. I was commissioned by the Contemporary Arts Society, to give a talk about the Shell Grotto in Margate in September 2018. The talk took the form of an alternative tour of the Grotto and each of the group was given a map and a bracelet of shell and chalk. 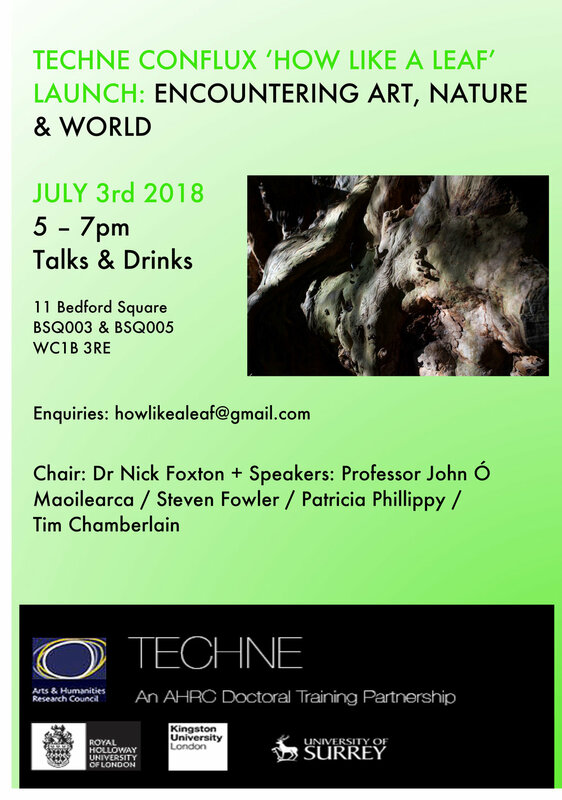 I am pleased to be helping to co-ordinate a series of events supported by TECHNE and organised by Dr. Danielle Sands, RHUL. I had the pleasure of working with the Open School East associates on the 16th June. The group are preparing for a project inspired by the subterranean. This was a chance to talk with them about my research and to share resources. In April 2017 I travelled to Boston to take part in the American Association of Geographers conference. In collaboration with Prof. Harriet Hawkins, I presented a printed silk banner as part of a session titled 'Voids' whilst Harriet delivered a talk. In addition to this I travelled to Ape Cave, a lava tube in Washington State. Image from the start of a RHUL: Geography Department takeover at Tate Exchange 14th February 2017.